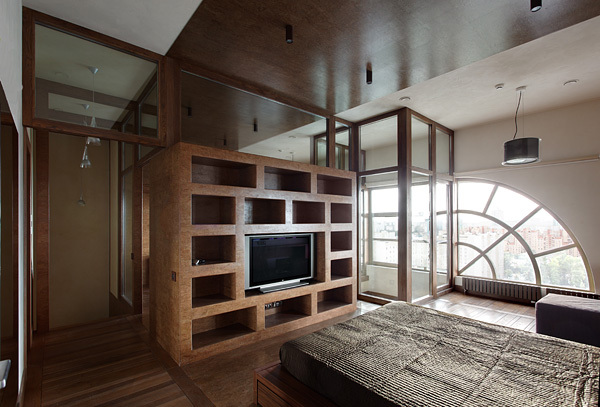 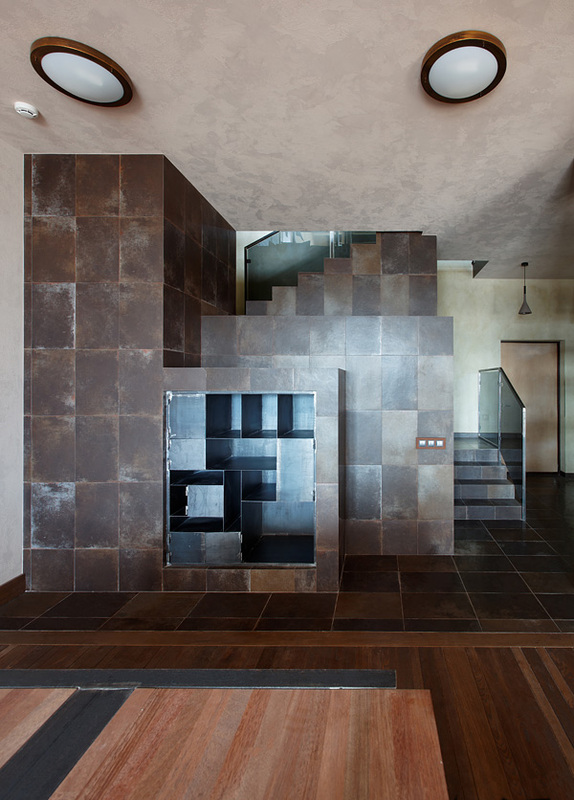 Multi Level Apartment By Peter Kostlelov | The Vault of Ultimate Cool. 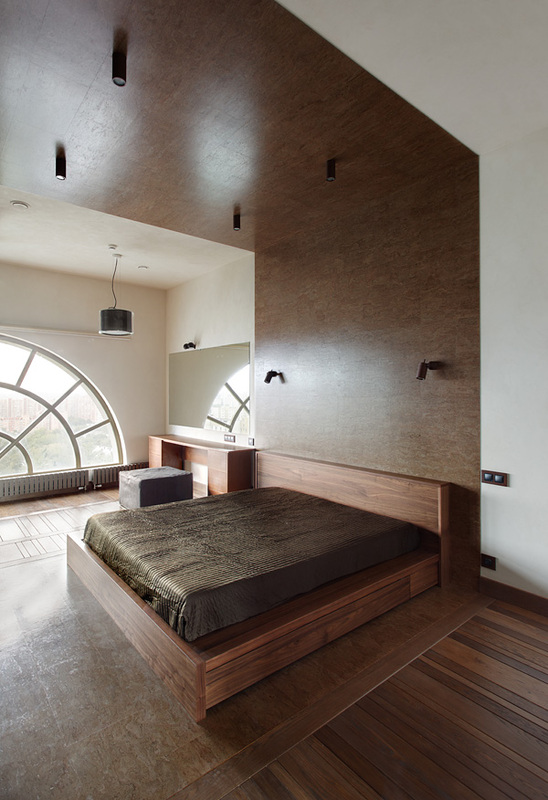 Interior Designer Peter Kostleov has once again designed a beautiful apartment which is surprisingly multi level the apartment is situated in Moscow. 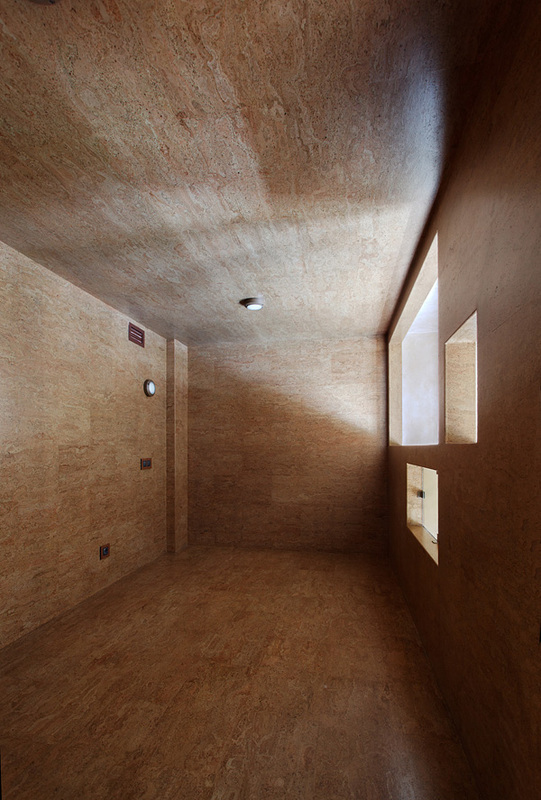 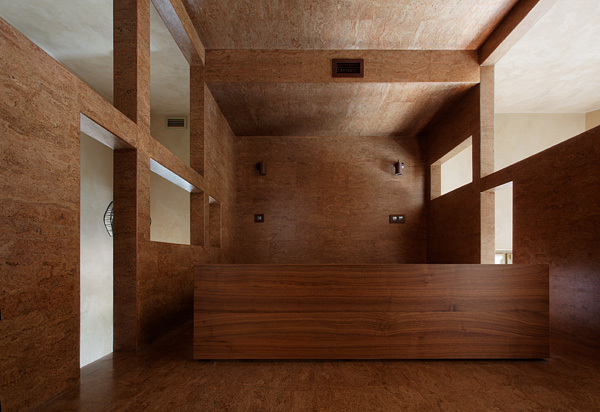 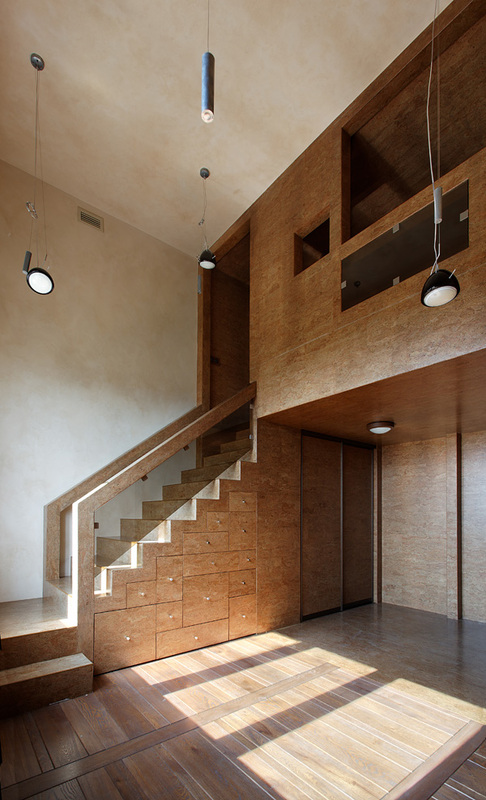 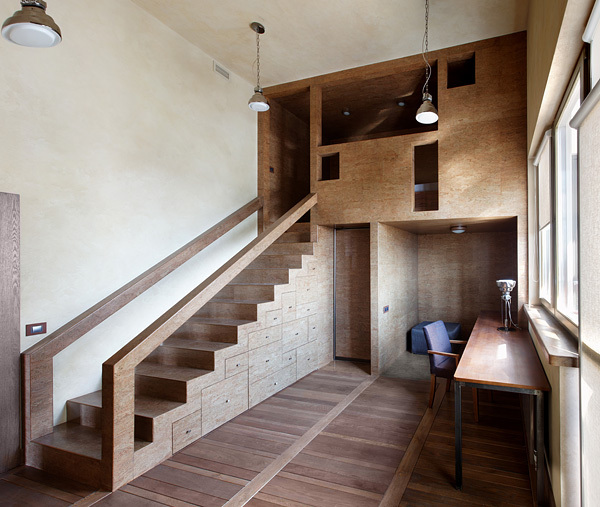 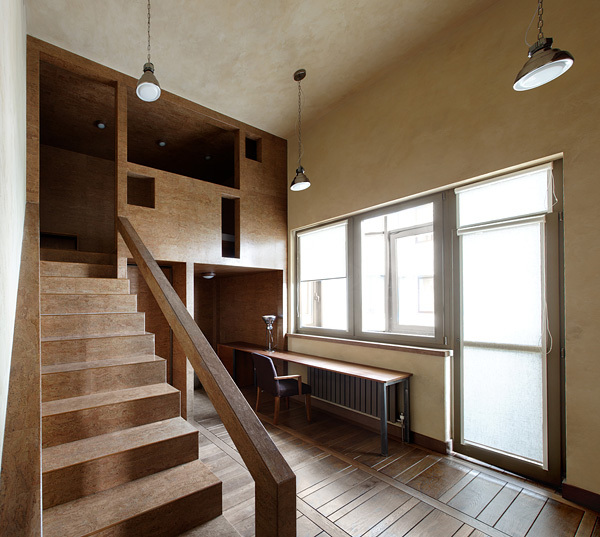 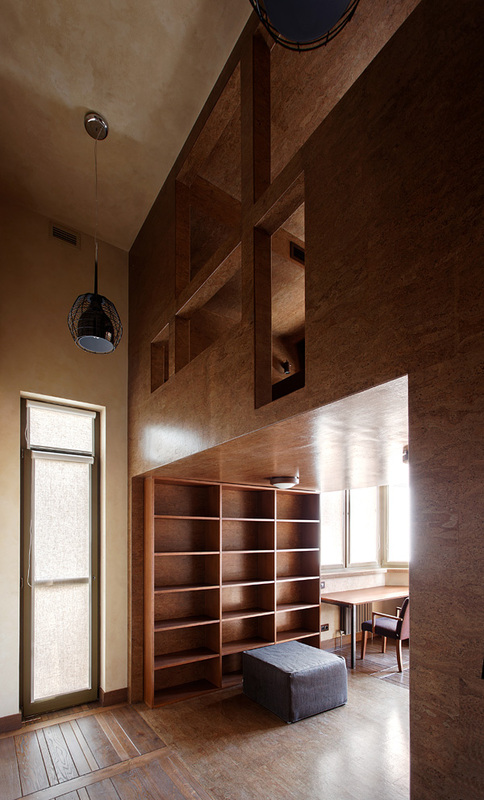 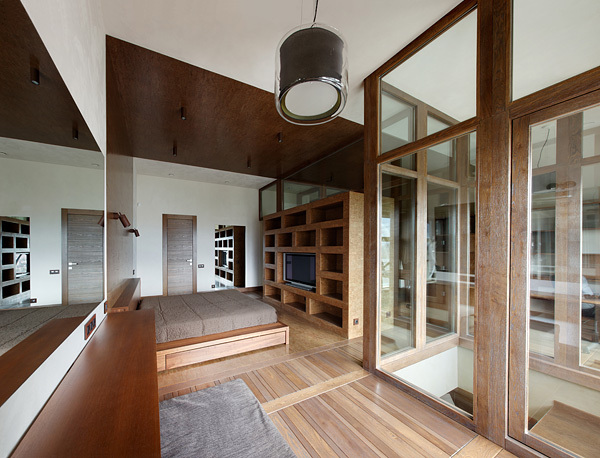 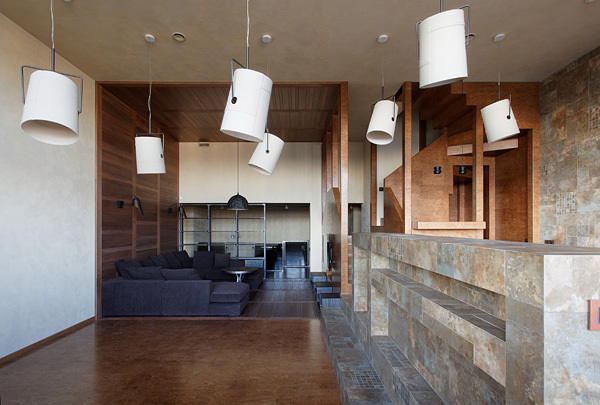 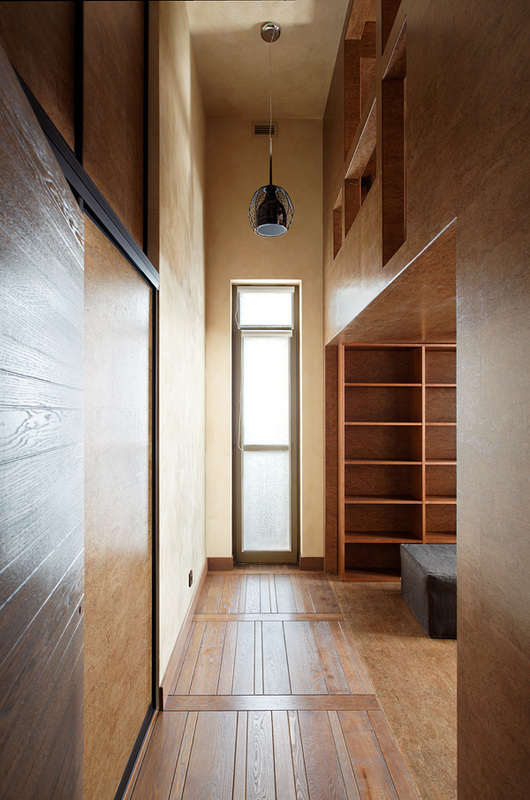 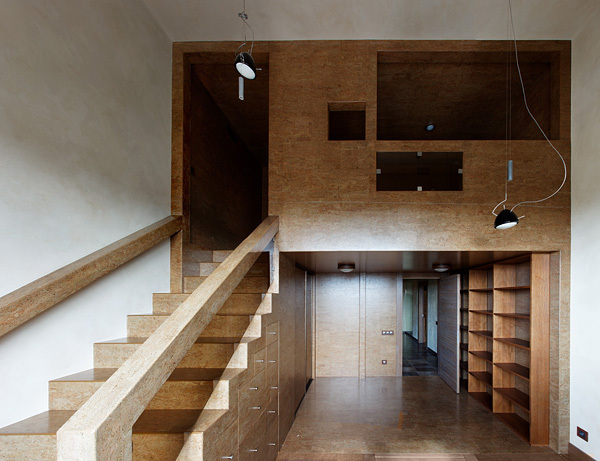 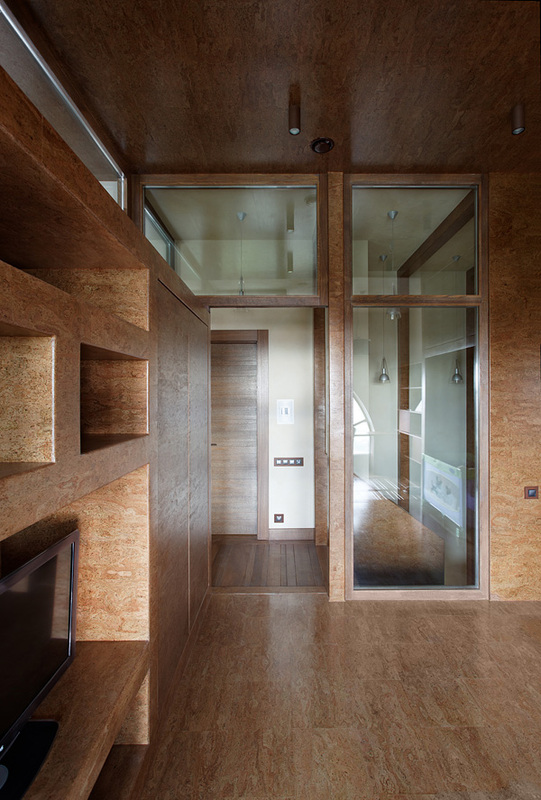 He was able to expertly use wood to create four floors within the apartment. 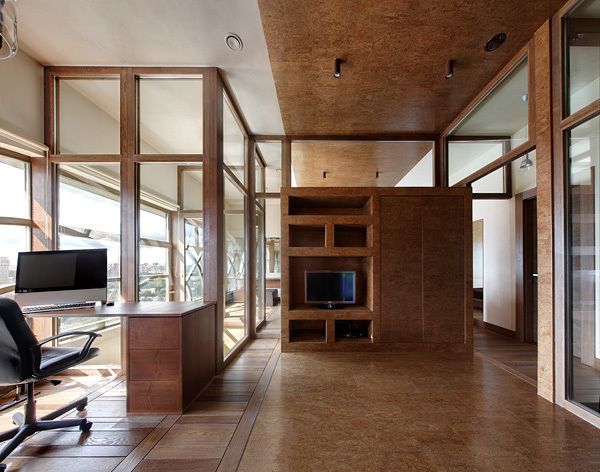 Looking at the previous work of Kostlelov you can tell he has a love for beautifully textured wood and the same love is beaming in this project too. 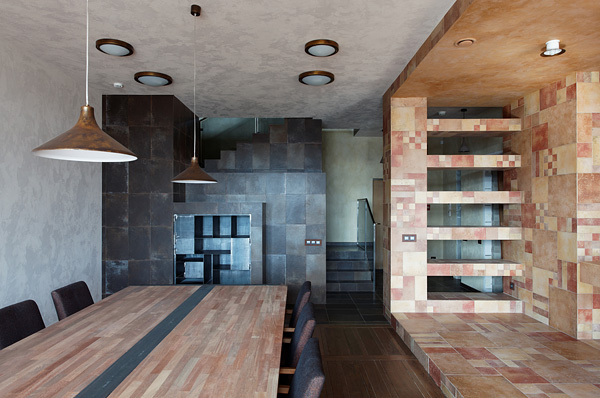 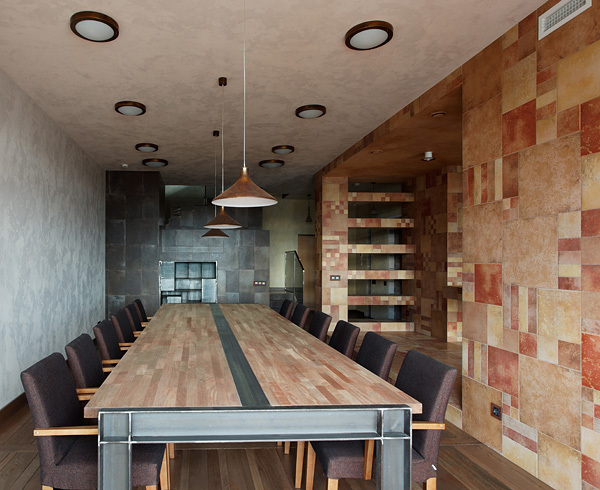 The different colours and textures used just make the interior space a sight for sore eyes. 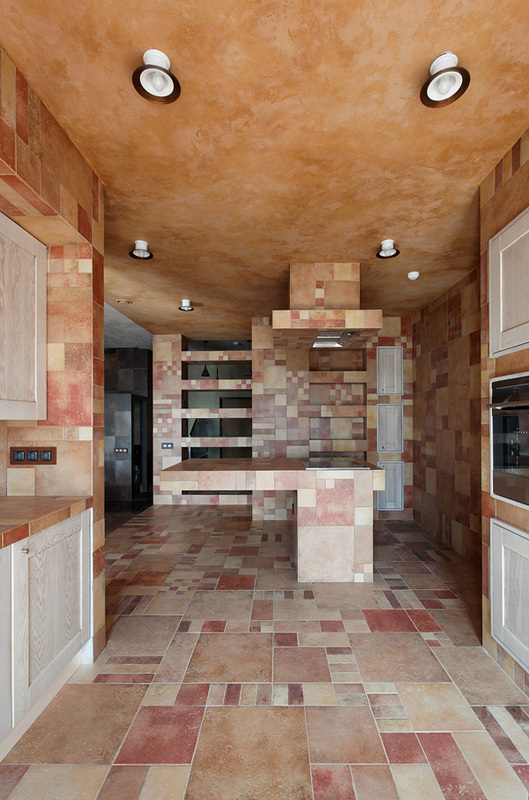 The colours are not too over bearing but yet really stand out the the different combinations of different textures just work harmoniously. 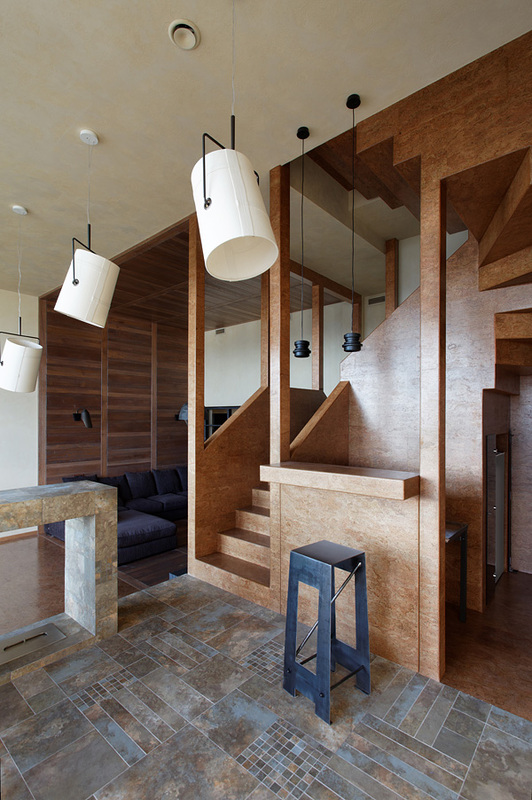 His brief was to create different retreat areas for children of three different ages, I think Kostlelov did a great job of making the interior client specific and even making the furniture apartment specific. 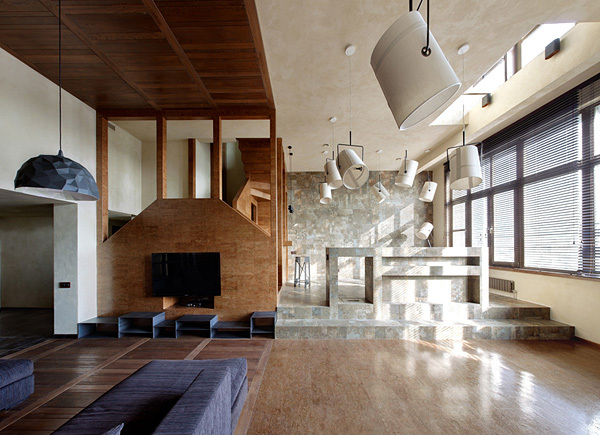 Enjoy the the rest of the Pictures.